Hi, I’m Carrie, your personal venue finder for conferences and events, welcome to Conference Venues London. With over 20 years’ experience finding venues for clients in London, we know how to find the perfect venue for you! We have a huge choice of literally thousands of stunning London conference venues on our books, and a professional team of experienced venue finders who are waiting for your call. Why not take the stress out of finding the perfect venue for your next corporate event and let us do the hard work for you? Phone 020 7186 8687 today – one call is all it takes to get the ball rolling. Are you searching for a plush venue for a formal company dinner? A sumptuous setting for a high level business conference, or an uber cool space for a new product launch with media presence? 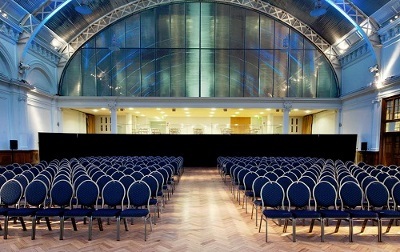 If you’re looking for a conference venue in London, you’re truly spoilt for choice. The capital is such a diverse and exciting place with a wealth of venues for every conceivable corporate event, and we are on hand to help find the best venue for you. Before we add any conference venue onto our comprehensive database, we carry out rigorous quality checks to ensure that our exceptionally high standards are met. That way, our clients can have complete peace of mind in the full knowledge that every booking is a top quality venue, and with no unpleasant surprises on the day. At Best Conference Venues London, our mission is simple: we’re here to find you the best venue for your conference – anywhere in London or beyond. We’ve made it our business to offer an unbeatable service to business conference clients of all sizes, offering our best expertise to solve your London venue problem. Organising a corporate event can be a lot of hard work – which is where Conference Venues London comes in. We work with you at all times to achieve your goals, taking away any hassles and supporting you right through the process of finding a venue. Whether you’re looking for the best London venue for an away day in a contemporary setting, or a formal company training venue with cutting edge IT and AV facilities, we can provide as much or as little help as you require. Our expert service is based on your individual needs to make sure you get the perfect venue for your conference event, whatever it may be. At Conference Venues London, your wish is our command. Let us know your budget, the estimated number of delegates, your preferred location any other requirements you may have, and our specialist team will get to work on your brief straight away. Whether you’re planning to hold your conference event in Central London or are organising a corporate retreat in the countryside, we can help you find the perfect venue. Why not give us a call today on 020 7186 8687 for a friendly, no obligation chat? As customer service experts, you’ll be pleased to hear that we have no issue with returning your phone calls or messages promptly and professionally – you’ll be kept in the loop at all times. You’ll find our venue finding team extremely knowledgeable, highly efficient and a real pleasure to deal with. Over the years, we’ve been lucky enough to build up an encyclopaedic knowledge of conference venues in London and beyond. We pride ourselves on knowing the events industry inside out, which is why we’re best placed to get you the right venue at the right price, anywhere in London. 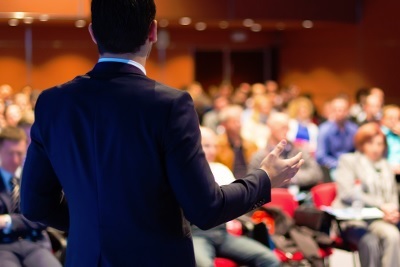 At Conference Venues London, we go above and beyond usual service levels. We’d like to think of each of our specialist advisers as your friend in need. Think of us as someone you can turn to for advice and guidance on any corporate event related issue. Conference Venues London are professional problem solvers extraordinaire – any problem, any venue, all you have to do is ask! At Conference Venues London, our conference venue finding service is totally transparent, 100% impartial and completely free. We operate as an independent company with no links to any other organisations or venues that we work with. This puts us in a unique position to provide fully independent, open and professional information, advice and guidance that you can trust. Able to focus 100% on your requirements, we can guarantee the best possible customer service. And the best bit? Not only do we not make a charge for our services, we can even save you money on your next conference venue booking! Thanks to our fantastic industry connections and many years of commercial experience in the field, we have the buying power to negotiate discount packages and price deals for our clients that are exclusive to Conference Venues London and are simply unbeatable. We not only understand how important the perfect venue for your corporate event is, we know exactly where to find it. At Conference Venues London we have over 20 years’ experience of finding ideal venues for important business events in London. Our portfolio of venues has everything from beautiful historic to sleek contemporary, from bijou to large-scale, as well as unique and unusual venues all over London. Our professional and friendly team are experts at taking the pain out of your busy schedule. 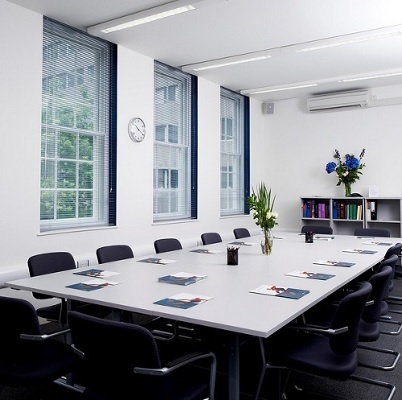 With our extensive knowledge of an exceptionally diverse range of meeting and conference spaces, we can guarantee matching your needs with a superb London venue. And our service is absolutely FREE. We know how important the venue is to making your event a success. The process of understanding your requirements is second nature to our experts, who will quickly establish exactly what you are looking for. Leave your problem solving to us. Just give us your specifications and we guarantee we will find the ideal setting for your London conference, business meeting, or product launch. In fact for any event you are organising, we can deliver just what you need. We know London venues like the backs of our hands! Your clients will be amazed and appreciate how hard you have worked to handpick your venue. It’s the first step in making sure your event goes off with a bang. We’ll make sure your venue has everything you’ve asked for, from catering to acoustics to flexible layouts and break-out areas. Whatever you need, just tell us. Let our experts do the hard work for you. With our help, your event is sure to be a rip-roaring success. For friendly advice and expert guidance for any business function, conference or corporate hospitality event, the professional team at Conference Venues London are looking forward to being of service. Why not give us a call and share your thoughts, ideas and specifications for your next event with our experienced venue finders to see how we can help? To find out more about our free and impartial conference venue finding service in London and beyond, just call on 020 7186 8687, or fill in the form below. We look forward to hearing from you.